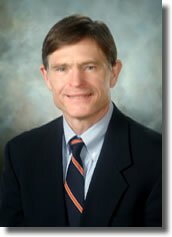 Dr. Abel has been with the UVA Health System since 1993. He has served in numerous leadership roles including chair of the department of Orthopaedic Surgery between 2002 and 2003 and from August of 2008 through August 2013. He has been involved in committees overseeing quality and strategy. Dr. Abel has joint appointments at the rank of Professor in the Departments of Pediatrics and Neurosurgery. He serves as the Division Head of Pediatric Orthopaedics and the Division has been recognized within the top 50 nationally by US News & World Report. He is also the Medical Director of the Motion Analysis & Motor Performance Laboratory. His expertise covers a broad range of musculoskeletal conditions affecting children. Approximately 50% of his practice deals with the management of spinal conditions in children including healthy children and children with chronic conditions such as cerebral palsy. He is nationally recognized as an expert in Pediatric Orthopaedics and Pediatric Spinal deformities and scoliosis. He has published or 90 original papers and numerous book chapters on topics in pediatric orthopaedics (add link to pub med). He has been listed among Connelly’s Best Doctors in America annually since 2006.